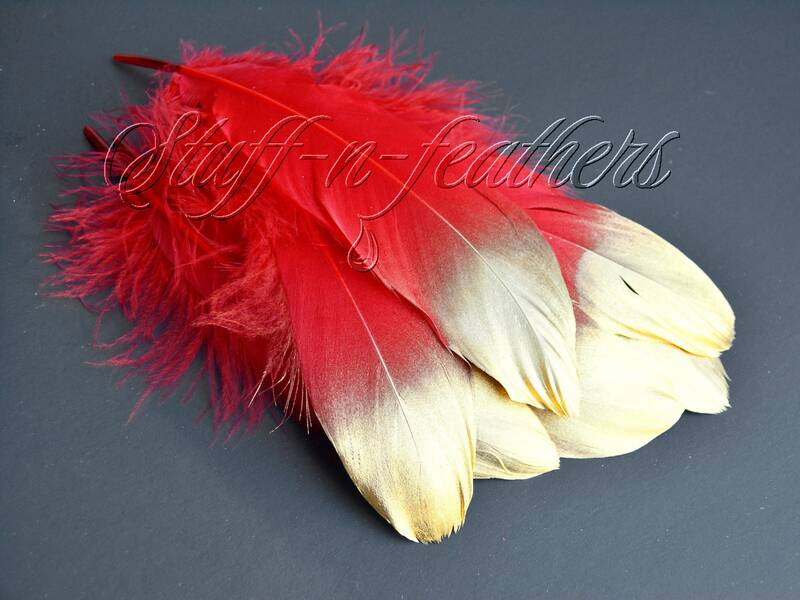 This is a listing for 6 loose hand selected premium Red Goose feathers with gold tips. 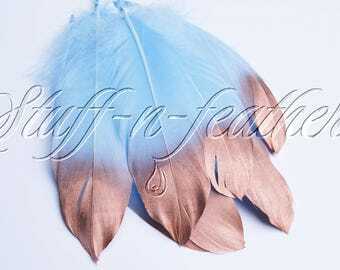 These feathers are lightly painted with metallic gold paint at the tips (painted on front side only). Gold color is not absolutely solid and has dusting effect slowly disappearing and creating beautiful transition. These beautiful feathers are perfect for holiday decor and table setting and we created them with Christmas and other winter holidays in mind. - It's a limited edition. This type of painting with Metallic gold does not affect the quality of the feathers is permanent and water and scratch resistant. 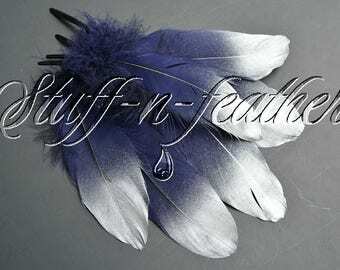 These feathers have pronounced rounded top and soft, silky hair. These are beautifully shaped feathers with rich velvety color. They are perfect for wedding decoration, table setting and accents, hair accessories, fascinators, millinery and any craft projects. All feathers are cleaned, steamed, prepped and ready to be used. They come from the smoke-free studio.